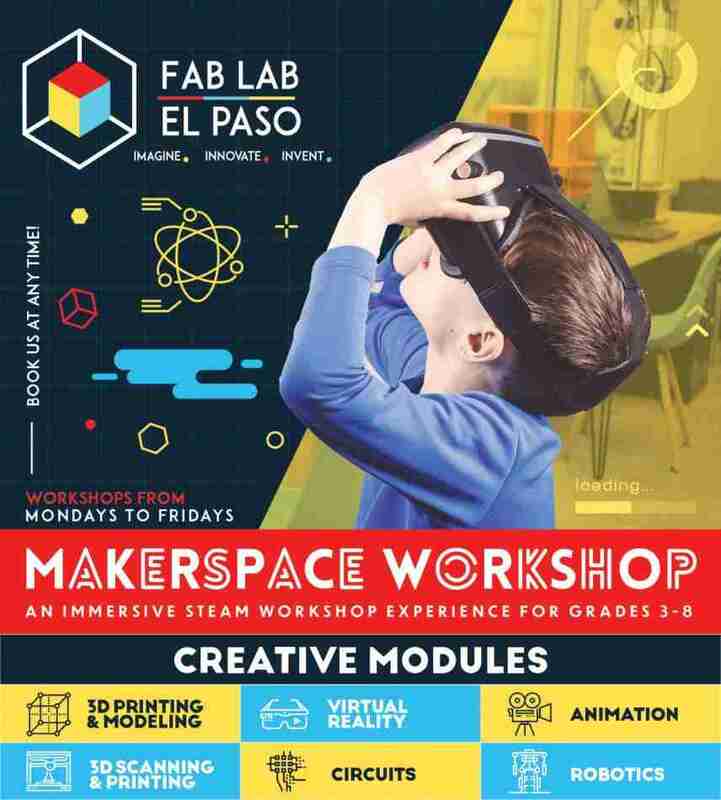 Fab Lab offers an immersive year-round STEAM workshop experience for grades K-12 . Each workshop is approximately 2 hours long. Fee listed is per student per workshop session. Minimum 10 students required to book. Suggested maximum of 35 students per session for best learning experience. Students will learn about the process of digital scanning, which allows objects, buildings, and even people to be transformed into digitized files. Group will learn the best practices in creating a successful scan and take turns scanning each other. Students will also be introduced to the art of mesh mixing digital files that could be exported for 3D printing. Get hands on with electronics circuitry using award-winning and innovative kits that facilitate a “no solder” learning process through magnets and stickers. Projects include making interactive controllers out of everyday objects using a printer circuit board and assembling synthesizer keyboards using modular, snap-together electronics. Learn how to create immersive digital worlds with unlimited possibilities, while understanding the underlying concepts that drive modern day VR. Students will hone design and storytelling skills vital to the VR experience, then view their environments with cardboard VR headsets that are available to take back to the classroom to continue their learning. Using Makeblock, an educational programmable robot building platform that helps you learn the construction and control of DIY robots, we will explore concepts relating to coding and mechanical engineering. Block-based coding language makes starting easy and teaches computational thinking. Like a workshop that we’ve offered to the public and want it replicated for your students? Let us know! We will try our best to accommodate. We offer an affordable 1.5-hour field trip option of a presentation of the Maker’s Movement and a general tour of our makerspace. Please contact us for more information on our flat-rate Maker Tour for groups. Please fill out the form below to submit a reservation request. Please make sure your email and phone numbers are correct below as we will be emailing you a confirmation and invoice. Please write down two preferred dates and times for field trip visit.